Tudor produced their first official timepiece to the world in 1946 after the Second World War. The French Navy used Tudor as their official diving watch. And recently Tudor created a watch called the Fast Rider that holds the official title "Timing Partner" for the Italian motorcycle manufacturer Ducati. Tudor watches are excellent for those who desire the status, quality, and reliabilty without paying the heightened price of its sister company. 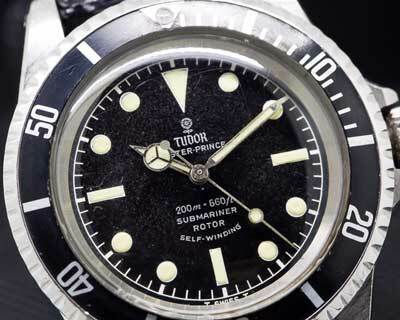 Marina Bay Watch Company has been providing Tudor watch repair and Tudor watch service for over 20 years in Marina del Rey, California. We provide extensive service and repair on Tudor timepieces including on: mechanical wind, self winding, and quartz watches. Tudor repairs and Tudor services offered by our company include full overhauls on mechanical wind and self winding movements, battery replacement, crystal replacements, crown replacements, dial refinishes, case and band refinishing, band repair, band sizing, clasp repair, clasp replacement, and many other services.